Go up the fabulous Philosophers’ Path on a hike with a competent guide. 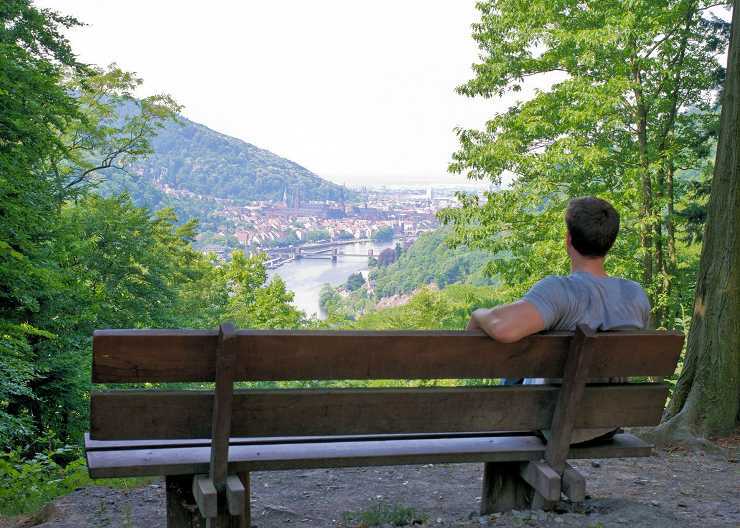 You will be given background information about the gardens , special botanical features and famous philosophers and poets from Heidelberg while taking in the magnificent view of the Old Town, the Neckar valley and the castle ruins on the other side. The Philosophers’ Path was laid out as a panorama path on the slope of Heiligenberg (Hallowed Hill) in 1817, much to the dismay of the local winemakers, who had to surrender parts of their vineyards for this purpose. On the other hand, the residents and tourists of Heidelberg were delighted by this novelty. This nearby recreational area has been immensely popular ever since. Due to its location on Heiligenberg’s southern slope, where it is protected from cool winds, full-bodied pinot noir thrives here, as do numerous exotic plants such as figs, lemons and almonds, and also rare botanical treasures such as araucaria, cork oak trees, medlar and hemp palm, with which you will become acquainted during this tour. During our Philosopher’s Path Tour you will also be able to hear excerpts from the works of famous lyric poets such as Friedrich Hölderlin and Joseph von Eichendorff at the numerous benches and observation platforms along the way. When we receive your request for a reservation, you will first receive an email from k3 stadtführungen that confirms receipt of this request, and later a confirmation of reservation. Your reservation will not be valid until this confirmation has been sent. You can cancel your reservation or have it changed. If you cancel your reservation up to the seventh day before the date agreed for your guided tour of Heidelberg, there will be no additional charge. If you cancel it less than seven days but at least one day before the agreed date, we will charge you 50 % of the agreed fee. If you cancel on the day of the tour or do not appear at the agreed time and place, we will invoice the entire agreed fee. 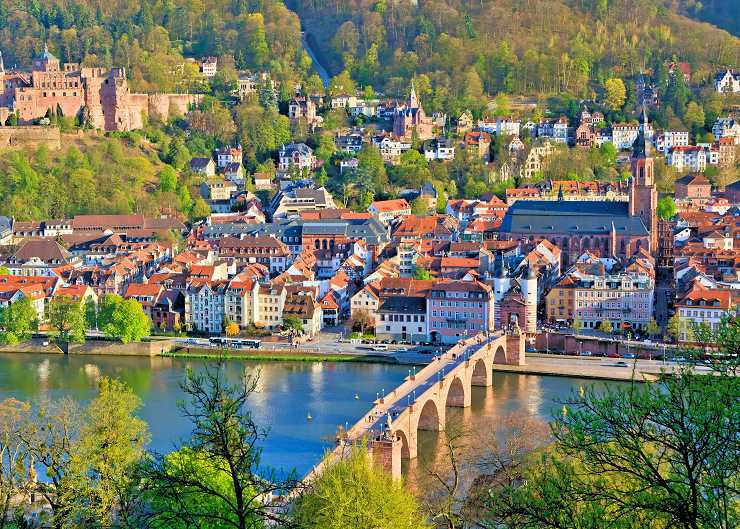 Changes can be made at no additional charge up to seven days before your guided tour of Heidelberg. If you wish to change the time and/or meeting place less than seven days before the tour, we will charge you 20.00 € for this change. Then, the time of day may only be changed by at most two hours (either way). In no case does the customer have a right to implementation of a change request.